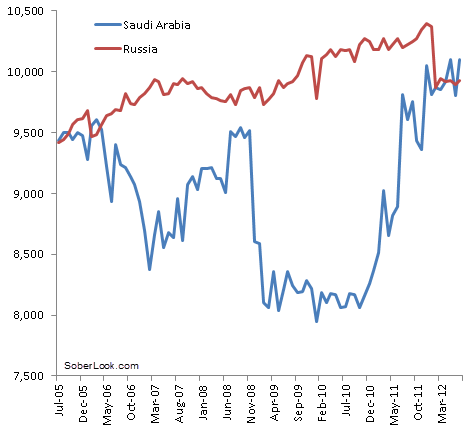 Saudi Arabia continues to pump crude at record pace, once again topping Russia in oil output. Supplanting production shortfall resulting from the Iran sanctions is certainly one of the goals. 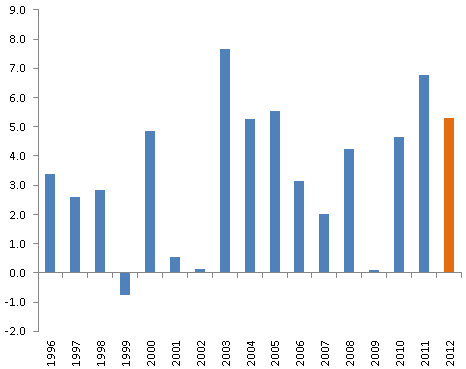 But Saudi Arabia's economy is growing rapidly and a great deal of the increases in production is driven by domestic demand. Saudi Arabia is part of the BICS group of nations (not BRIC) that now drive global economic growth. Given Saudi strong domestic demand, oil may be quite vulnerable to supply shocks in spite of Saudi record production levels. 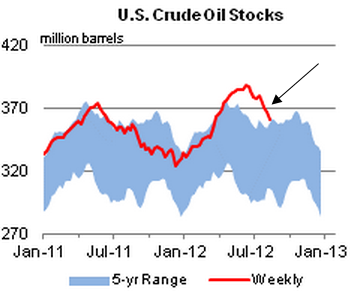 This is particularly significant given a sharp and somewhat unexpected decline in US oil stocks. With Brent crude already at $115/barrel (up 28% from June lows), the next shock to global economy could come from a potential (real or perceived) supply disruption - and Saudi Arabia may be unable to come to the rescue due to its domestic demand. That is one of the reasons the Israel-Iran "standoff" is so dangerous at this juncture.